Section 4: What is meant by Mental Health and Well-Being? ﻿﻿﻿﻿﻿﻿﻿﻿﻿﻿﻿﻿﻿The World Health Organization defines mental health as, "a state of well-being in which the individual realizes his or her own abilities, can cope with the normal stresses of life, can work productively and fruitfully, and is able to make a contribution to his or her community" (WHO, 2007). Rather than focusing on how negative interactions affect mental health, this perspective emphasizes the positive qualities that allow individuals to succeed and thrive in society, many of which involve elements of healthy child and family support systems and the development of strong social and interpersonal communication skills. Courage, optimism, hope, honesty, interpersonal skills, work ethic and perseverance. Ability to enjoy life – Living in the moment, appreciating the “now." Ability to learn from the past and plan for the future without dwelling on things that can’t be changed or predicted. Resilience – Ability to bounce back from hard times, manage stress without loss of optimism. Balance – Ability to juggle many aspects of your life. Ability to make changes to restore balance when necessary. Self-actualization – Recognition and development of individual strengths to reach one’s full potential. Flexibility – Ability to feel and express a range of emotions. Ability to solve problems and revise expectations. Language: Expressing needs, wants and thoughts; using body language and gestures; and understanding what others communicate. It is natural for parents to compare their child’s progress with other children. However, although most children meet milestones within an average range, every child develops in a unique way and at a different rate. There are clearly wide variations in what is considered “normal,” influenced by factors such as genetics, intellectual stimulation, family history, parenting skills, physical and mental health, culture, nutrition, as well as environmental and educational factors. 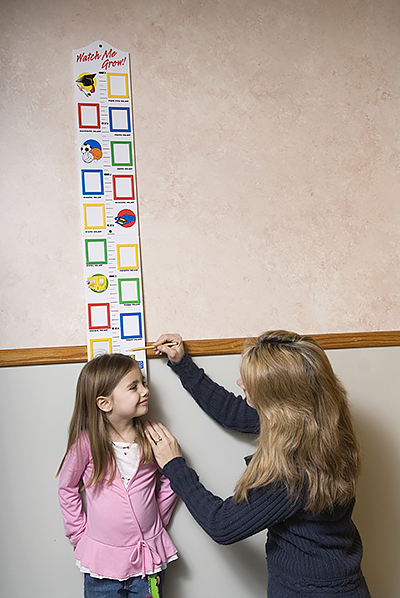 While recognizing that each child develops differently, a general knowledge of expected developmental benchmarks may help alert parents and/or clinicians of development that is atypical for children who are Deaf/deaf and hard of hearing. Children who are late in achieving developmental milestones may be showing delays in one or more areas of development. Language, play/social and thinking/reasoning all have important influences on the child’s mental well-being. Communicating with a child is one of the most important things parents can do. This, however, can be one of the most difficult challenges facing children who are Deaf/deaf and hard of hearing. Regardless of whether parents decide to provide hearing technology such as hearing aids or cochlear implants to assist with their child’s communication, it is very important that a child learns language – whether spoken, signed or a combination of the two – from a very early age. Language has a significant impact on the development of positive mental well-being and health. Age-appropriate social language skills are required in order for children to develop positive social relationships (Gallagher, 1993). The inability to develop social networks has been shown to result in an increased incidence of psychosocial and mental health problems. Furthermore, poor social skills and self-concept in the early years are strong predictors of adult outcomes. A crucial component of social development is theory of mind. Theory of mind refers to the ability to make inferences about the beliefs and desires of other people and have a sense of what they are feeling or thinking. Research has shown that children who are Deaf/deaf whose parents have typical hearing may lag several years behind their peers with typical hearing in terms of their development of theory of mind (Lundy, 2002). Du Feu & Chovaz (2014) describe how baffling it must be for children who are Deaf/deaf and hard of hearing to make sense of their parents’ or friends’ behaviour if they cannot understand the thoughts and feelings of another person. A delay in the development of theory of mind may result in reduced consequential thinking (Gray, Hosie, Russell, & Ormel, 2003), less developed emotional vocabularies, less understanding and recognition of emotion and emotional regulation, and weaker coping skills (Johnson, 2012). It is encouraging to know that these constructs are currently being studied by researchers to help us better understand how best to support these children. Being Deaf/deaf or hard of hearing does not mean that a child cannot successfully master social development milestones, but access to language is key. Developing language is an interactive process that allows children who are Deaf/deaf and hard of hearing to participate fully in their environment. It is never too early to begin to work on these areas of social competence. Even very young children can be guided by their parents and teachers to develop these skills at an age-appropriate level. Developing these competencies may prevent the development of negative social consequences and reduced feelings of well-being and self-esteem. Children who are Deaf/deaf and hard of hearing have the capacity to reach the same cognitive and developmental milestones as children who have typical hearing. As with children who have typical hearing, some children who are Deaf/deaf and hard of hearing may be within the average range of intelligence, some may be intellectually gifted and some may be developmentally delayed. Children who are Deaf/deaf or hard of hearing may struggle with reading and writing, resulting in delays in academic achievement and literacy skills, which have been shown to negatively affect children's mental health and self-esteem (Hindley, 2005). These struggles may be related to language issues as well as difficulties accessing the world around them and not to intelligence. Children who are Deaf/deaf or hard of hearing can and do live emotionally healthy lives. Similar to children who have typical hearing, some will excel in their academics and their relationships and some will know hardship including poor education, poor choices and offences against society. Parents and educators want the best for their children and students, so it is vital to become aware of potential risk factors that might increase the chances of the child or youth developing a mental health difficulty, learn strategies to promote better health, and know where to turn if concerns arise. Having a hearing loss is not a mental health issue and does not necessarily predispose a child to having a mental health disorder. As with any child, risk factors such as genetics, biology, environment, parent-child relationships, infections, and disease may increase the risk of mental health problems. Having a hearing loss does not cause disorders nor is it a disorder. However, there are various consequences that may be associated with hearing loss that may indirectly or directly heighten the risk of mental health issues. Some of these include etiology or the cause of the hearing loss. For example, a toddler who loses hearing due to meningitis (an infection of the lining of the brain) may also experience difficulty in areas that affect learning or reasoning. In this way it can be seen that having a hearing loss did not cause the mental health disorder yet it is associated with it. 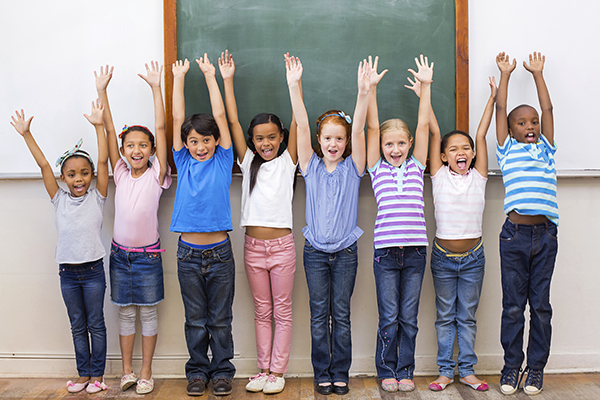 All of these risk factors may have an effect on a child’s mental health and well-being. As such, parents who are aware of these risk factors are in a better position to support their children in their developmental years. Some research has shown that children with hearing loss may be more vulnerable to mental health and psychosocial problems than their peers with typical hearing. Children’s Mental Health Ontario estimates that 1 in 5 Canadian children will experience a mental health disorder. It is not difficult then to predict that children who are Deaf/deaf and hard of hearing facing potentially more challenges may have higher rates of distress (Du Feu & Chovaz, 2014). Research cites the incidence of emotional difficulties to be 3-6 times higher in school-aged children who are Deaf/deaf or hard of hearing than in their peers with typical hearing (Health Canada, 1994; Hindley, 1997; 2000; 2005). Children who are Deaf/deaf or hard of hearing may have any of the mental disorders experienced by all children including behavioural disorders (impulsivity, hyperactivity) or social-emotional difficulties (anxiety, depression). In addition, children with hearing loss are also 3-4 times more likely to experience additional handicapping conditions than children with typical hearing. These include visual impairments, motor difficulties, and learning difficulties all of which may impact mental health. The child who uses hearing aids faces unique challenges in family, social and school situations. Existing hearing technology is not a perfect replacement for typical hearing, and children with hearing loss continue to face many challenges in accessing and processing auditory information. Situations such as multi-talker conversations in small and large group interactions, and situations involving background noise or other difficult listening conditions can cause extreme difficulties for children wearing even the most sophisticated hearing technology and are particularly problematic for children who are in the language learning period (Flexer, 2011). With current trends toward educating children in their local communities, it is often the case that there is only a single child with a hearing loss in a particular school. Children who use spoken language and wear hearing technology may also see themselves as being less attractive and less socially accepted than their peers with typical hearing as a result of their need to wear hearing technology (Cappelli et al., 1995). Hearing technology itself is often visible on the head and may draw attention to itself, requiring verbal explanation. These children and their parents may be asked unwanted questions about their technology and their hearing loss. The lack of awareness in the general public regarding hearing loss in general and hearing loss in children in particular may make this situation especially challenging. Children need to be given the language and the confidence to be able to respond to these questions in a socially acceptable and self-affirming manner. Children who sign and use a sign language interpreter in the classroom face similar challenges regarding their unique and highly visible situation. In addition, these children may feel left out of peer interactions during recess, breaks or on the bus when the interpreter is not available. This may contribute to feelings of loneliness and isolation as well as affording fewer social learning opportunities. In summary, children who are Deaf/deaf and hard of hearing in integrated settings may have less opportunity and more difficulty to develop the age-appropriate social skills necessary for friendships and interactions with their peers. Families who have a children who is Deaf/deaf or hard of hearing experience many of the same successes and challenges as other families. For some families, learning that their baby is Deaf/deaf or hard of hearing may change family dynamics and impact many different areas of family life. Effects may be experienced in the marital relationship, interactions between parent and child, relationships with siblings, relationships with extended family members, family gatherings, and everyday family routines. For example, having a children who is Deaf/deaf or hard of hearing may affect paternal career choices and limit family leisure time due to additional related responsibilities. Siblings may feel neglected or resentful of the amount of attention given to their sibling who is Deaf/deaf or hard of hearing. Extended family members may experience similar grieving and acceptance processes following the child’s identification. Conflict between the child’s parents may occur due to different levels of perceived responsibility or due to different views, priorities, or preferences during times of decision making. Early identification of deafness or hearing loss and professional involvement markedly improve overall functioning and increase feelings of self-esteem. Promote early attachment, family support, and acceptance of the child. Provide adequate life experiences for your child to learn behaviours and attitudes appropriate to family and society. Find a balance when encouraging your child’s exploration (restriction and overprotection may hinder independence). Reinforce strengths in your child to promote feelings of competency rather than inferiority. Encourage the use of technology and the Internet that can provide access to information and social contacts. Provide opportunities for social relationships, building social networks at school, but also within the home and community. Encourage social experiences with peers who are Deaf that can lead to comfort and identification with Deaf culture. Encourage participation in extracurricular activities. 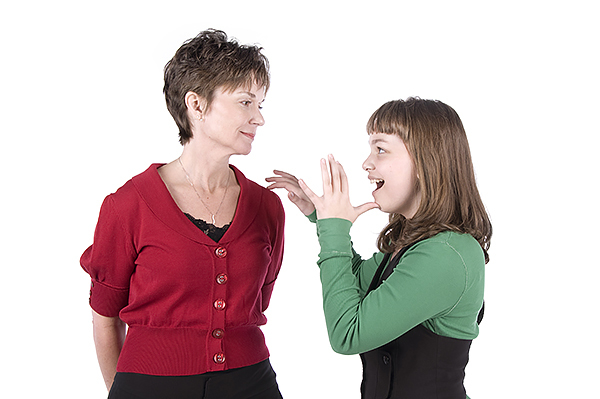 Expose your child to adults who are Deaf/deaf and hard of hearing, role models and mentors. 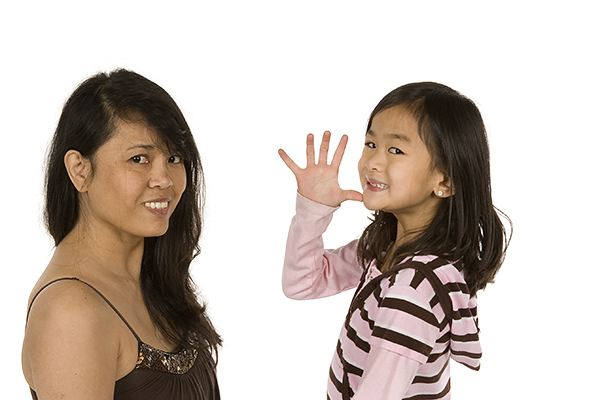 Seek out skilled, educated and caring professionals to work with the child and family.